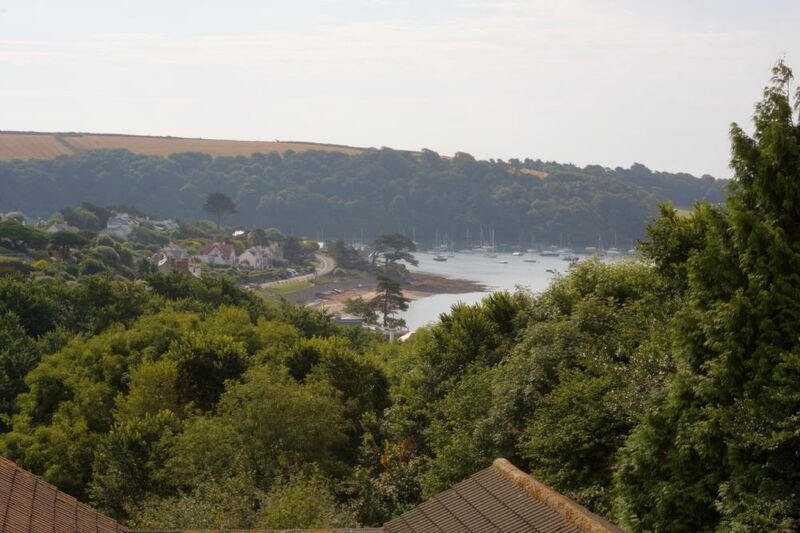 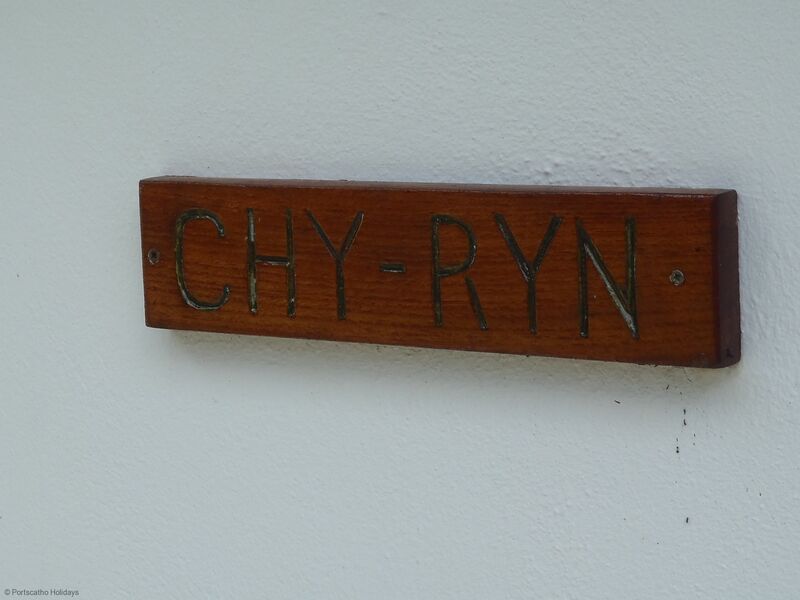 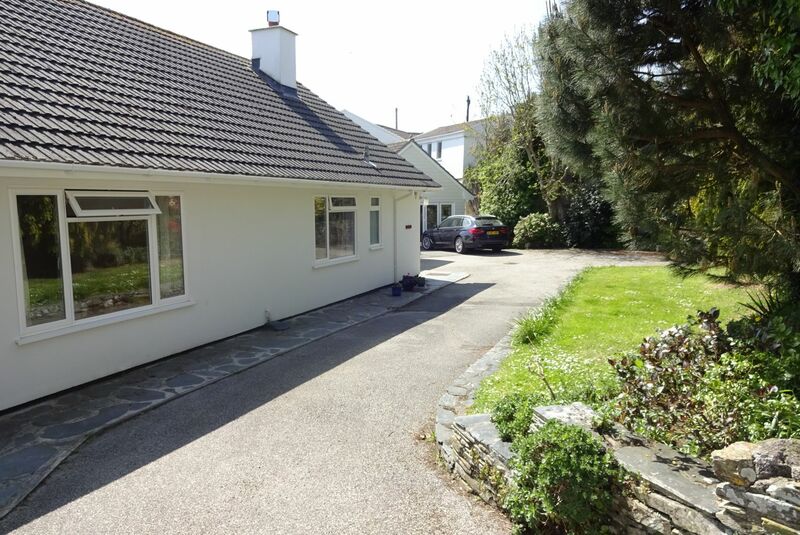 Chy Ryn is a spacious dormer bungalow situated in a quiet residential area, with the centre of St Mawes being only a few minutes’ walk away. 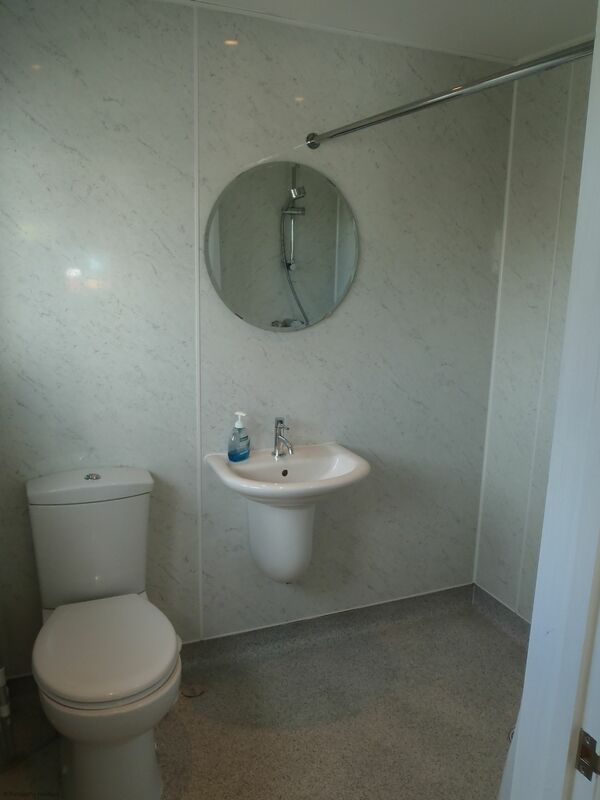 On the ground floor just off the entrance is the utility room with washing machine, tumble dryer and fridge freezer. 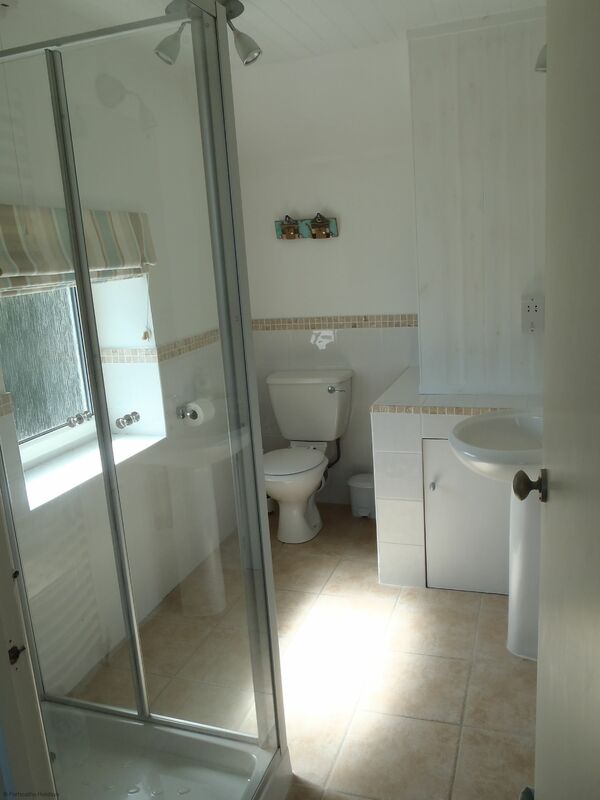 There is a cloakroom with a door leading out to the garden. 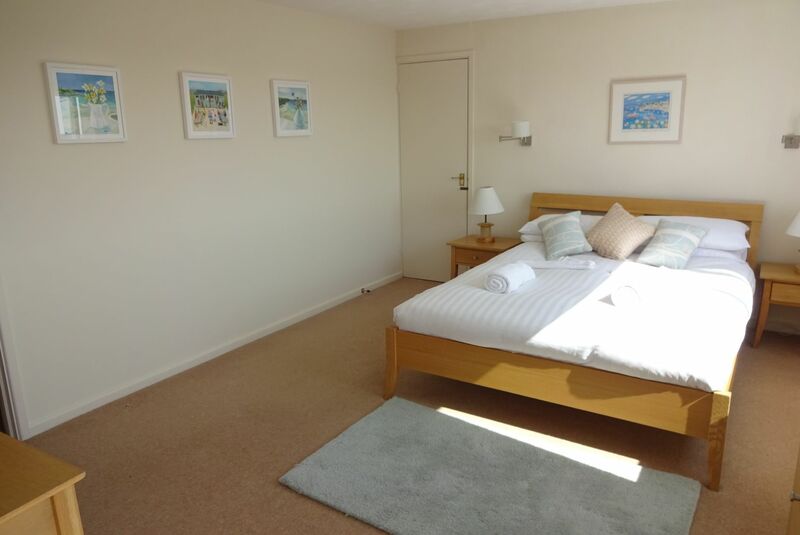 The sizeable kitchen provides a good selection of cupboards, electric double oven, hob, dishwasher, larder fridge and microwave with a kitchen sink view to the sea. 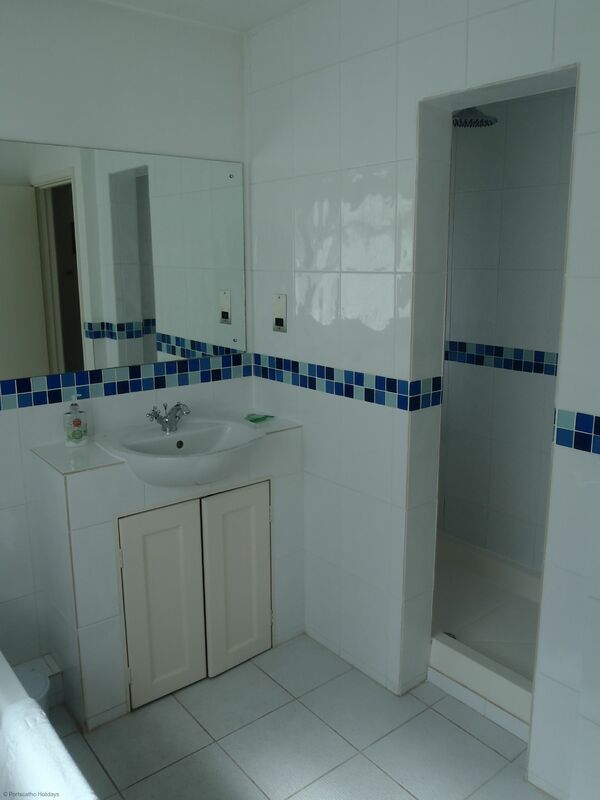 Further along the hallway is the large family bathroom with bath and separate shower. 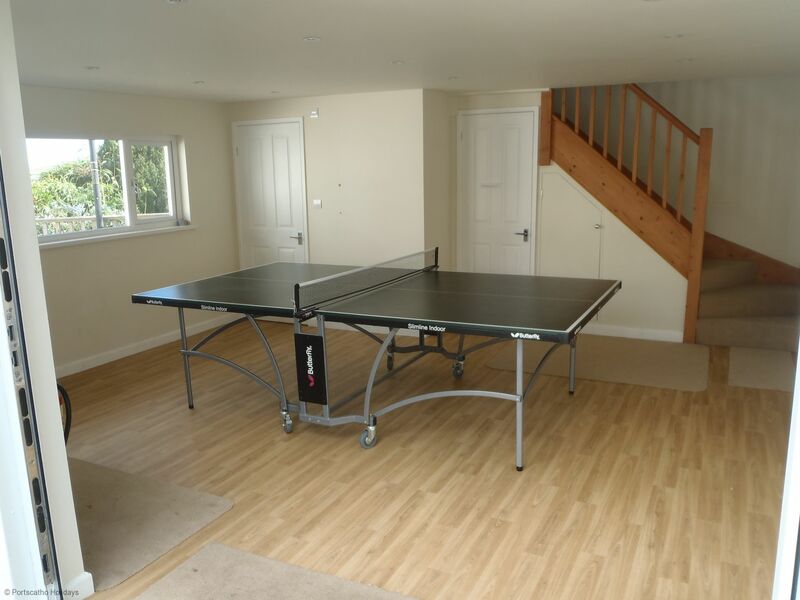 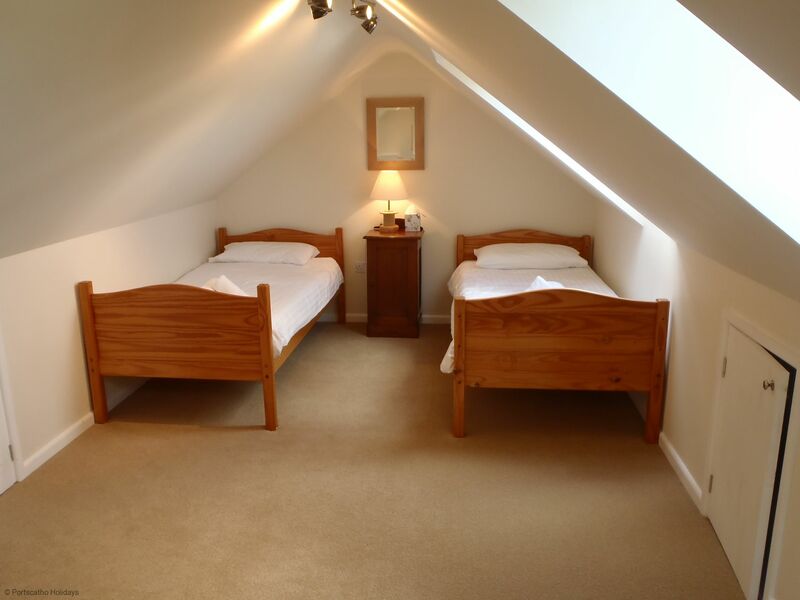 There are two bedrooms on this floor, a double bedroom with built in wardrobes and a twin room with wardrobes. 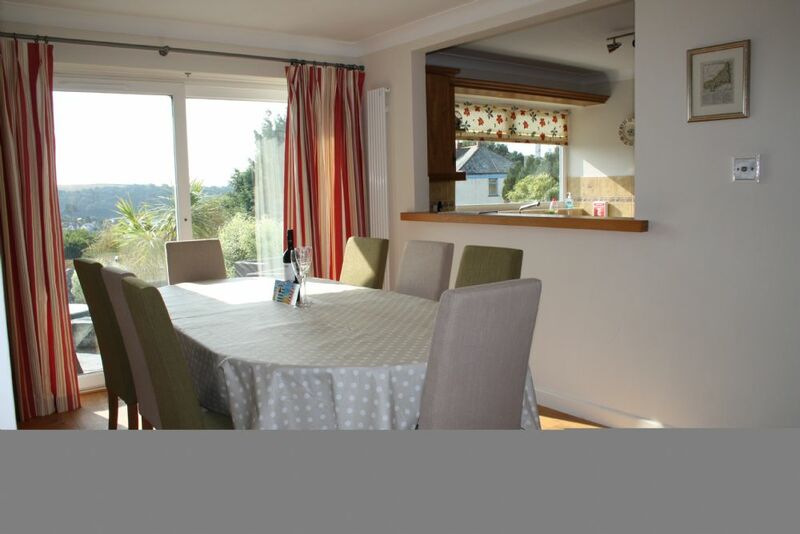 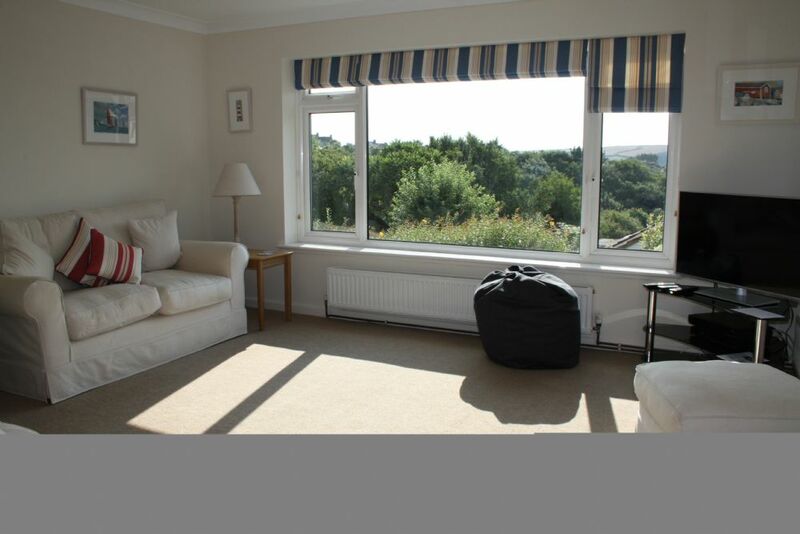 The open plan dining area has lovely views down to Summers Beach and French doors that open onto the patio. 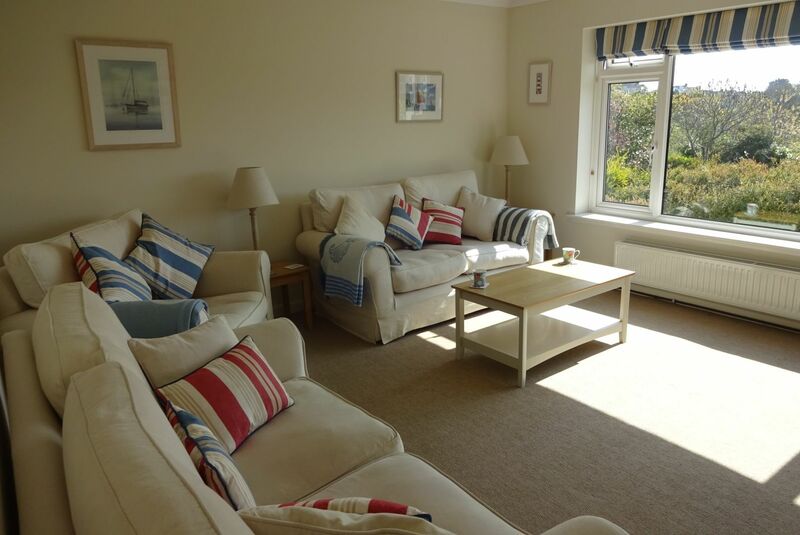 The separate lounge has a comfortable range of sofas, TV, DVD with views down to the sea complete the accommodation on the ground floor. 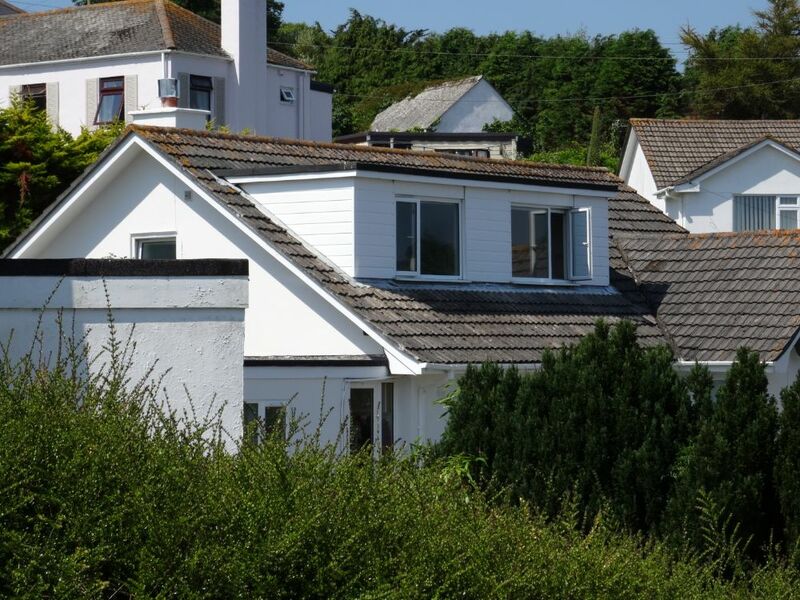 The stairs lead up to the master bedroom which has far reaching views down to the sea. 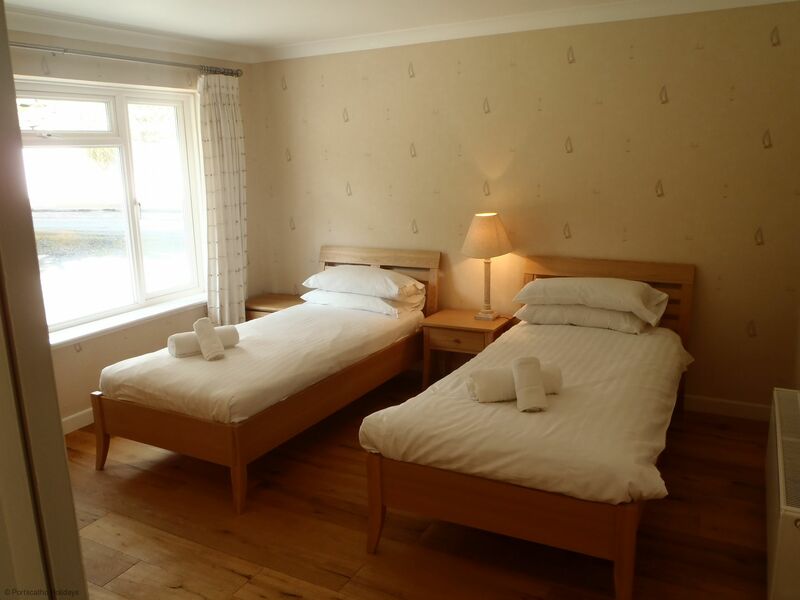 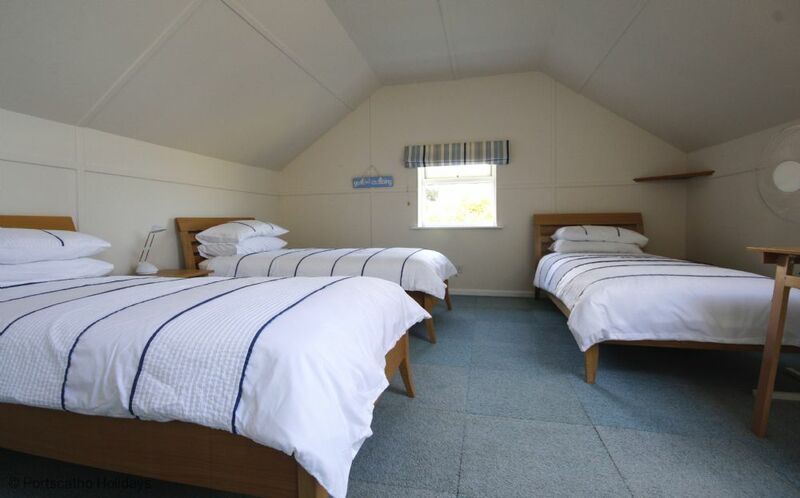 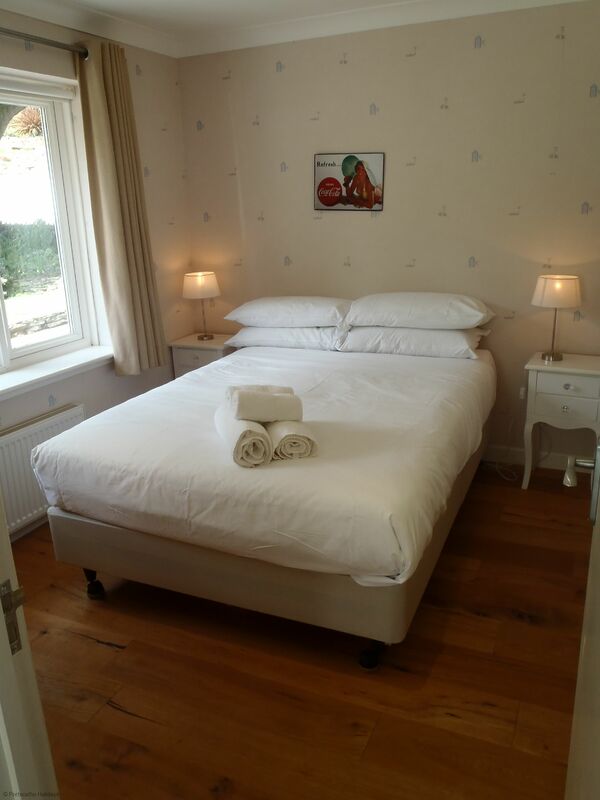 The room has a double bed and built in wardrobes with an ensuite shower room. 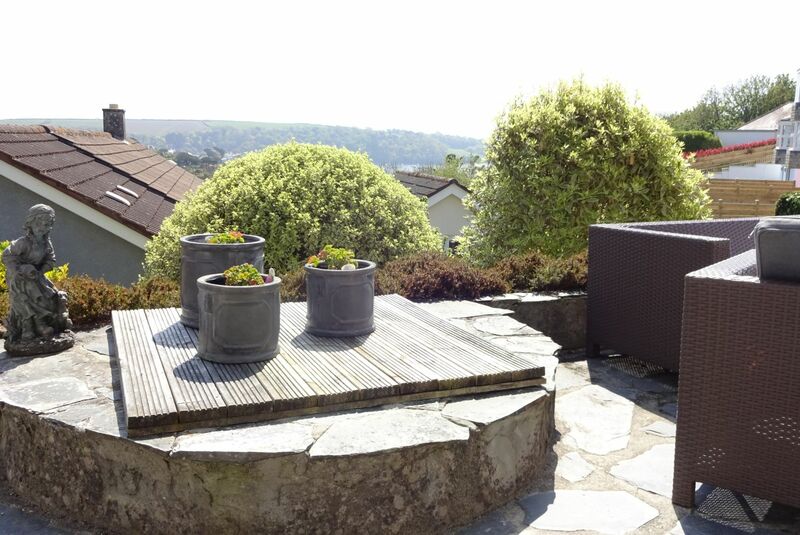 The gardens are terraced (with children please bear the terracing in mind). 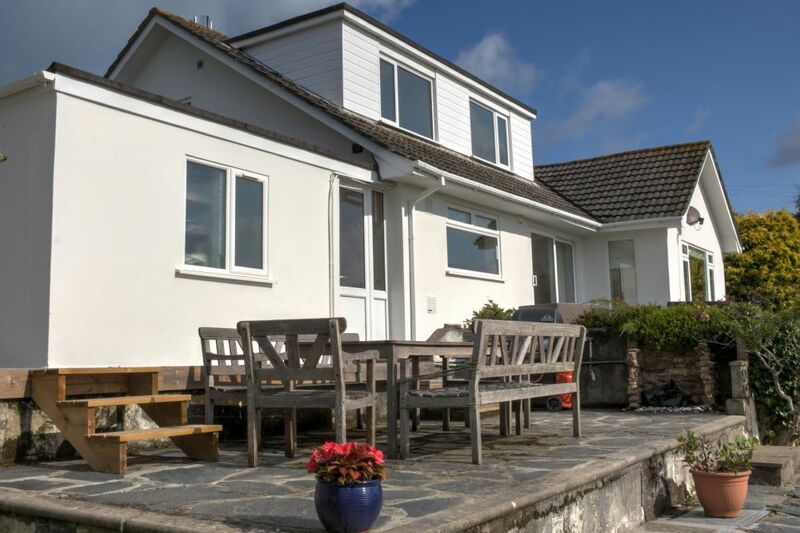 There is a decked area leading on to a paved area running along the front of the house. 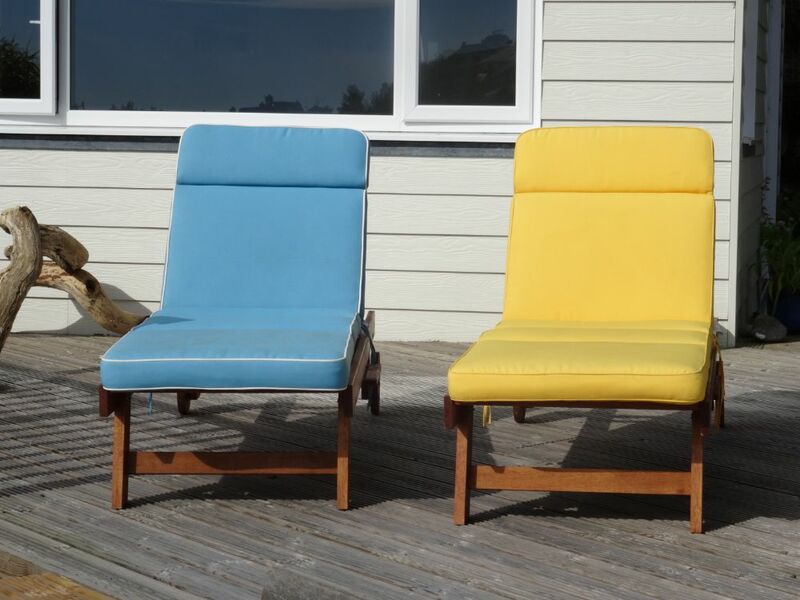 The house provides a good range of garden furniture. 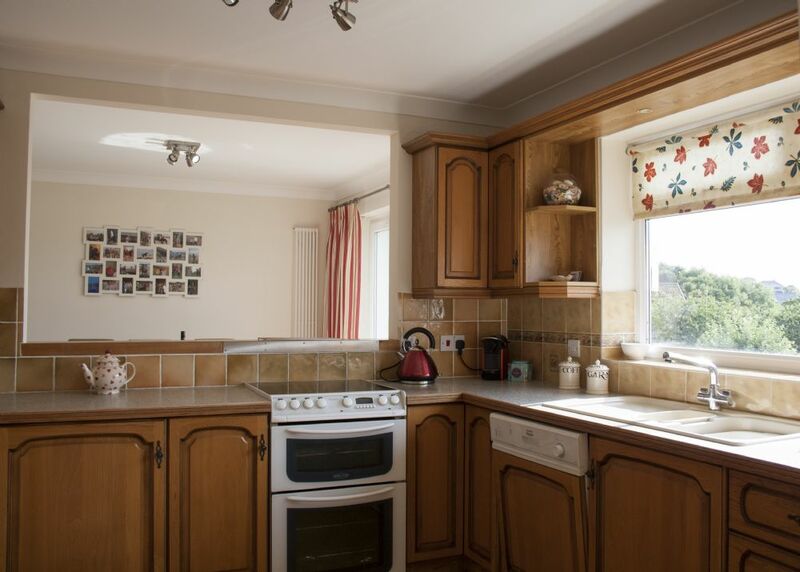 This house has full central heating.